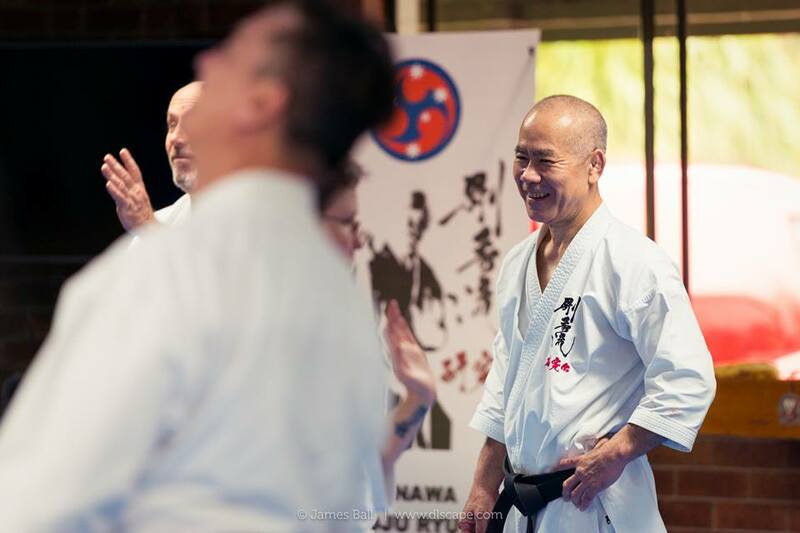 Masaji Taira Sensei, the 9th dan chairman of the Okinawa Goju Ryu Kenkyukai, returned to the Gold Coast for his 6th visit in as many years. 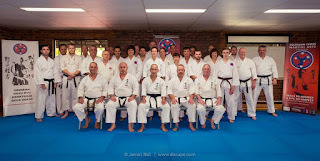 Taira sensei has a dedicated group of students from a variety of dojo in Australia who study his method. 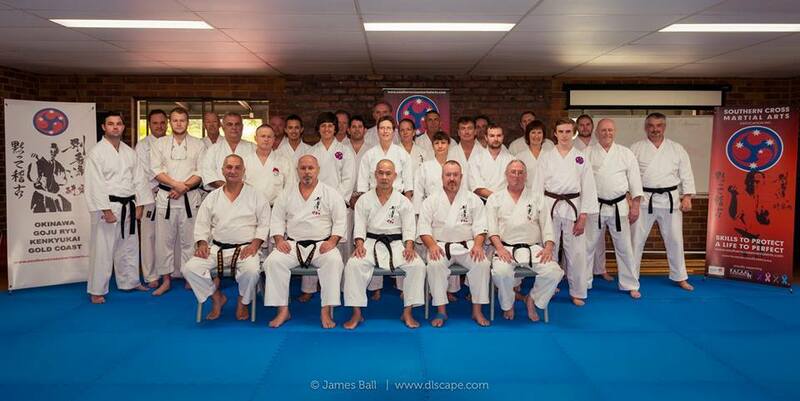 The camp was organized by Damien Martin and Hannah Thornton, Taira Sensei’s Gold Coast representatives. 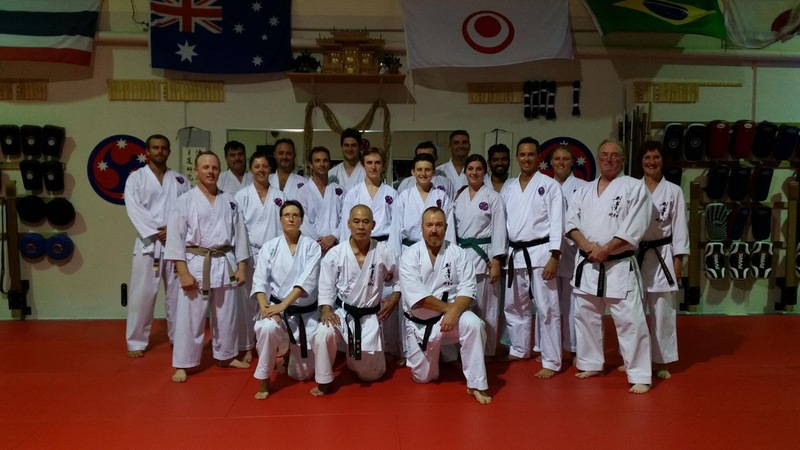 Students travelled from Indonesia, New Zealand and all over Australia to attend training with Taira sensei and to get together in friendship. There were 30 participants overall representing nine different dojo. The camp was a ‘live in’ event with on site accommodation and several hours of training in both Goju Ryu and Kobudo. 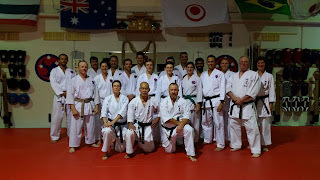 The highlight for me was seeing the various members of the broad spectrum of dojos represented all getting together and training and supporting each other despite the huge differences in levels of understanding of Taira sensei’s material and methodology. There was definitely no sense of elitism, only a mutual desire to improve understanding and technique. This seminar was different from Taira sensei’s previous visits because the central theme was linking the basics to the advanced kata applications, rather than focussing on the advanced kata applications. This conceptual linkage led do an ever increasing amount of those ‘eureka’ moments that come with training in kata and bunkai with Taira sensei. Planning is already underway for next year.